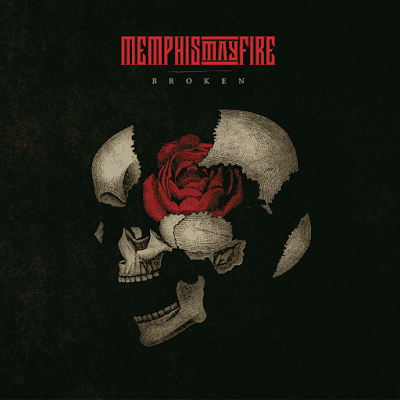 Following the trend from their 2016 album This Light I Hold, Memphis May Fire continue down the rock radio path with their latest Broken, a slab of self-assured arena-metal, headlined by the band’s signature grit and frontman Matty Mullin’s characteristic delivery, complete with scores of uplifting bars. Or, in other words, a few trademark descriptors you’ve surely by now come to expect from these guys. “The Old Me” sets the stage with Mullins searching for his former self amidst cascading riffs and thunderous percussion (‘I’ve been losing sleep / Trying to get back to who I used to be / Where is the old me? / What happened to the old me? / I want to get back / Tell me how to get back’), “Sell My Soul” is an empowering celebration of individuality (‘They feel safe when my mouth is closed / They want me to sell my soul’), “Who I Am” is a barrage of fiery guitars sure to ignite circle pits worldwide and Mullins talks carrying the weight of the world on his shoulders in “Heavy Is The Weight” (‘Heavy is the weight that I hold / I carry it cause it’s all that I know / The pressure on me / Pressure to be true to who I am’), though the rather unnecessary rap interlude is a glaring detractor. Ballad “You and Me” stands out during the latter portion of Broken, a picturesque silver lining in the middle of a forgettable stretch of the album. Broken, by far Memphis May Fire’s cleanest and most commercially viable release to date, could have benefited from a few more of Mullin’s guttural vocal blowups, though the fact that this album isn’t all that heavy isn’t to its detriment, it’s just a noticeable flaw. Like I said, Broken picks up where This Light I Hold left off, which isn’t completely a bad thing.